Jason McGatlin | Executive Vice President, Production, Lucasfilm, Ltd.
Jason McGatlin is the Lucasfilm Executive Vice President of Production where he oversees all Physical Production for Lucasfilm, including the Star Wars feature films, animated series, and live action long-form series, as well as the Indiana Jones franchise. 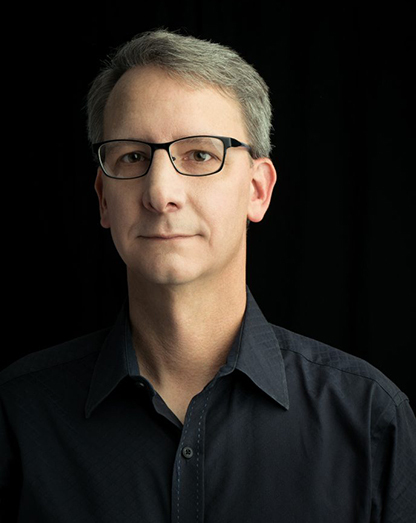 McGatlin was an Executive Producer for Star Wars: The Force Awakens, Rogue One: A Star Wars Story, Star Wars: The Last Jedi and Solo: A Star Wars Story, and will continue to serve as an Executive Producer on the upcoming Star Wars: The Rise of Skywalker. McGatlin began his career working on films such as Clint Eastwood’s, Midnight in the Garden of Good and Evil and Bridges of Madison County, as well as How the Grinch Stole Christmas, Deep Blue Sea, The Parent Trap, Speed 2: Cruise Control, Volcano, and Broken Arrow. He moved up to Production Supervisor for Tim Burton’s, Planet of the Apes in 2001 and both produced and edited the documentary Old Coaches as well as the film Head Hunter the following year. In 2003, McGatlin returned as Production Supervisor for X-Men 2, Lemony Snicket’s A Series of Unfortunate Events, X-Men: The Last Stand and War of the Worlds, which was his first film with Steven Spielberg and Kathleen Kennedy. He became Production Manager in 2007 on Fantastic 4: Rise of the Silver Surfer. In 2011, McGatlin rejoined Spielberg and Kennedy to co-produce The Adventures of Tintin, which spanned three years of production in both Los Angeles and New Zealand. After Kennedy became President of Lucasfilm in 2012, she hand-picked McGatlin to serve as Senior Vice President of Production to help oversee the finalization of the George Lucas executive-produced animated feature Strange Magic.